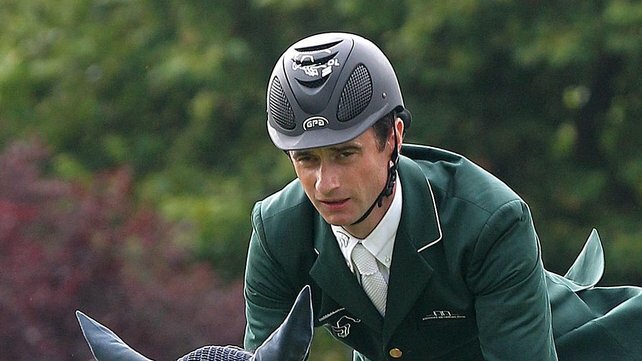 Denis Lynch is out of the Irish team for London 2012 with Horse Sport Ireland expected to make an announcement on his replacement later today. 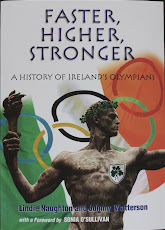 Denis Lynch's position on the Irish showjumping team for London 2012 was in limbo after his horse Lantinus was examined at the Aachen Grand Prix last Friday morning and found to be hypersensitive on his left forelimb and hind limbs and disqualified from further competition. Lantinus had competed for Ireland in the Nations’ Cup the previous evening, where Ireland finished third. Horse Sport Ireland then asked the Olympic Council of Ireland to hold off on ratifying Lynch for the London 2012 team, although Lynch took take part in Sunday's Grand Prix at Aachen on a different horse, finishing 13th. Whether or not the 15-year-old bay gelding’s condition was naturally occurring was then subject to an inquiry. While horses’ limbs can become hypersensitive or painful naturally, hypersensitisation can also be produced artificially and, in theory, will make a horse jump better. Lynch protested his innocence. "At no stage was there any inference that the hypersensitivity was anything other than natural occurring. I feel this is very important to clarify and I would also like to state for the record that I fully support all measures regarding hypersensitivity implemented by the FEI," he said in a statement. In the statement Germany-based Lynch stressed both his innocence and his support for the measures regarding hypersensitivity implemented by the FEI. When Lantinus was examined two hours before competing in Thursday’s Nations’ Cup, a small wound on the near fore leg and an abrasion on the off hind leg were identified but were not associated with any hypersensitivity or abnormalities in the thermographic examination. "We were satisfied, therefore, for Lantinus to compete in the Nations Cup,” said Lynch. On re-examination after competing in Thursday’s two rounds, when the horse lowered three fences, and again on Friday morning, these areas of sensitivity had increased. The horse “was now considered hypersensitive within Annex XI of FEI Veterinary Regulations” and on this advice, Lantinus was disqualified by the attending FEI vets. Lynch insisted that his only concern was for the welfare of his horse and since he had never intended to ride Lantinus in anything other than the Nations’ Cup, he did not make an appeal against this decision. Riding his Olympic mount Abbervail van het Dingeshof, Lynch finished 13th of 39 in yesterday’s Grand Prix at Aachen - an event he won in 2009 riding Lantinus, at one time considered the best showjumping horse in the world.